There are a large number of available implants that seemingly provide aesthetic augmentation for every conceivable facial location. Most facial implants are made of a soft flexible silicone elastomer material whose physical properties allow them to be relatively easy to surgically place and remove if necessary. 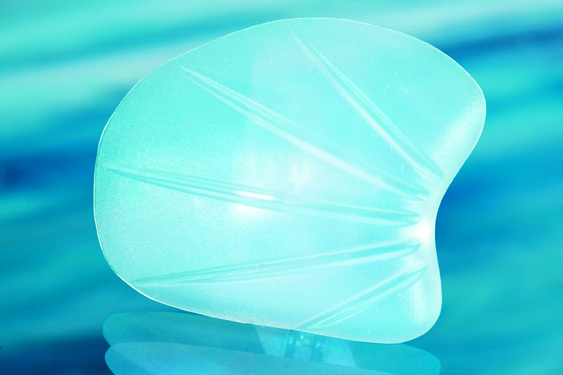 Also, a silicone elastomer material allows for any size and shape of a facial implant to be made at an economical cost. While most sites of facial implant augmentation are done to augment skeletal convexities and concavities, facial soft tissue augmentations can be desired as well. One such soft tissue area is that of temples. The aesthetic boundaries of the temples is bounded by four sides, the anterior temporal hairline, the top part of the zygomatic arch, the lateral wall of the orbit and a small portion of the lateral forehead. The contour of the temples is either flat or slightly concave. This contour is controlled by the thickness of the underlying temporalis muscle and fat pad and not by the temporal skull bone as if often thought. 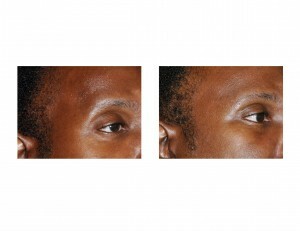 When the temples are excessively concave (sunken in), treatment is often sought for augmentation. 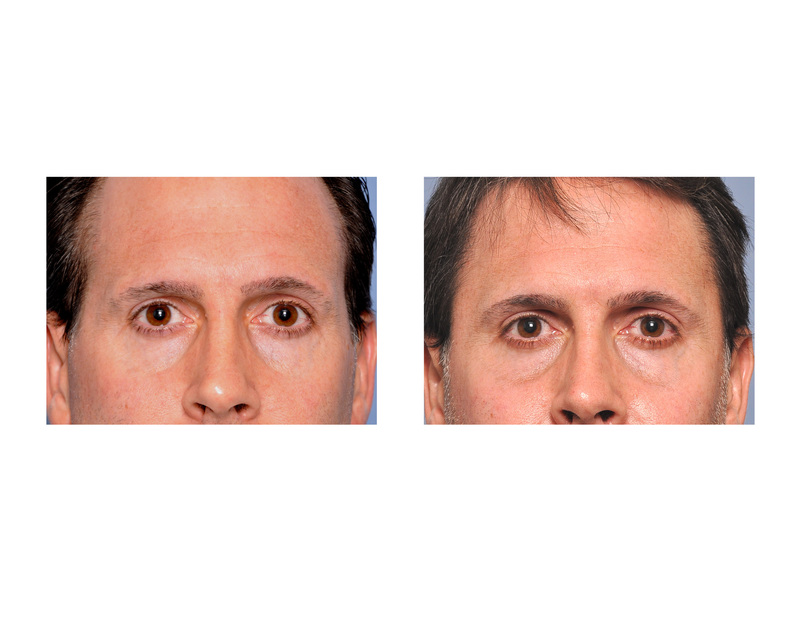 Most temporal augmentations are done by injections of either synthetic materials (IJuvederm, Radiesse, Sculptra) or fat. 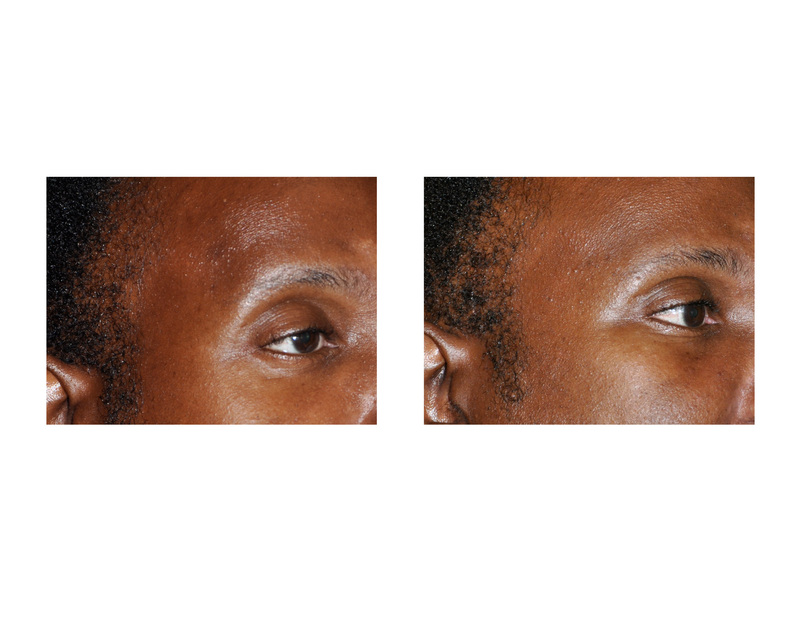 While an injectable temporal augmentation approach can be effective, they often have to be repeated for maintenance of the augmentative effect. Fat injections can also be unpredictable in terms of volume survival and may also have to be repeated to create a more pronounced and/or more prolonged effect. For a permanent effect, a new silicone implant is now available for aesthetic temporal augmentation. (Temporal Shell Implant, Implantech, Ventura, CA) Composed of a very soft and low durometer silicone material, it feels very similar to muscle or fat tissue. Its shape matches the typical borders of the temporal region. It is thicker at its bottom portion where more augmentation is needed and has upper feathered edges to blend into the upper temporal area without visible edge demarcation. As a soft tissue implant, it should be placed under the temporalis fascia on top of the temporalis muscle through a small vertical incision in the temporal hairline. While it can be placed on top of the temporalis fascia, there are increased risks of implant visibility and injury to the frontal branch of the facial nerve. Temporal Shell implants are currently available in two sizes. The implants have radiating lines on them, not only for flexibility, but also for implant shaping if needed. Scissors can be used to quickly shape and customize the implant for any patient’s temporal dimensional needs. 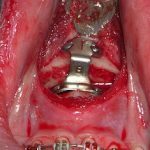 Temporal implant augmentation is very straightforward and could be even be done under local or sedation anesthesia. Subfascial pocket dissection is rapid and risks no injury to any blood vessel or nerves. There is very little swelling and usually no bruising after the procedure. Patients report no pain afterwards.There are no physical restrictions or care needed after surgery. 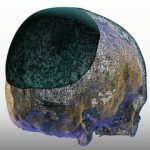 Temporal Shell Implants are now available to provide permanent soft tissue augmentation for aesthetic concave deformities of the temporal region. They can be used when either an injectable temporal augmentation has failed or a more assured one-time permanent effect is desired. The implants are uniquely made to create a soft tissue effect rather than a more firm bony augmentation commonly used for facial skeletal augmentation.